New Zealand’s Pacific Peoples Minister, Aupito William Sio visited Tino e Tasi Preschool in Dunedin today to try out the new Samoan language app that the pre-schoolers had produced with the help of KIWA. “The idea was to make learning a game and something our tamaiti would relate to. It’s interactive and I’m told it has a real Sesame Street vibe that the kids just love. They were at the centre of the project from the very start and it’s their ideas that drove it. Now they’ve got a chance to show me how to drive it too,” says Aupito William Sio. “This app is a real breakthrough in that it not only builds awareness of digital technology but also helps keep our Samoan language alive”. 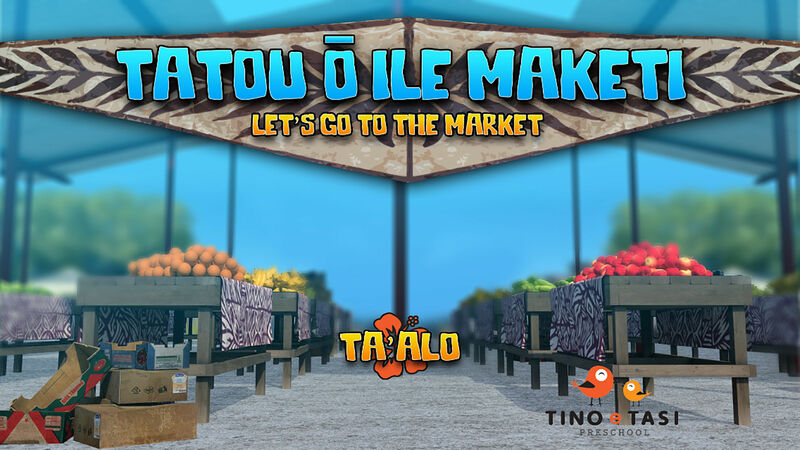 The app, Tatou ō ile Maketi (Let’s go to the Market) works by presenting tamaiti with a shopping list and selection of food items to choose from. Following the shopping list, tamaiti select and drag the required food items into the basket. As the correct item is selected, they hear the item spoken in Samoan. Once all food items has been selected, the children move onto the next level in the game. During the development, a mobile sound studio was used at the preschool and recorded all the words and songs in the kitchen. The preschoolers were involved at every step of the way and were also taught about code and how code makes games and computers work. Funding was provided through the Ministry for Pacific Peoples’ Toloa Community Fund which aims to increase the number of Pacific people employed in Science, Technology, Engineering and Mathematics. “We are living in the technological age where our children and young people need to be given every opportunity to learn and excel in it. Future prosperity will be dependent on how well they can embrace it and the earlier the better,” says Aupito William Sio. Further information on the app can be found here. And a video of TV coverage here.